Jaipur is where history, heritage, architecture, and vibrant culture come together to lend a unique aura. As you make your way through the colorful streets and lanes of this enthralling city, your eyes are bound to get stuck on one aspect that seems to be omnipresent here – its magnificent temples. Rich in architecture and craftsmanship, the temples of Jaipur redefine its beauty in an incredible manner. Exquisitely designed, each of these expresses a saga of faith and artwork unlike any other. Most people believe that the forts and palaces are its star attractions and do not go beyond exploring these usual tourist spots. But if you take the road less traveled and explore the temples here, you will step into a world of fascinating architectural beauty and splendor, strongly interlinked with religion and folklore. The only problem is that Jaipur has too many lovely temples, and it can be a real task to select which ones to explore and which ones to let go by. How about following us as we guide you through some of the spectacular shrines in the Pink City that are worth a visit on any day? So, get ready for a journey into the realms of faith and fascination. A Hindu pilgrimage site dating back to the ancient times, Galta Ji is not one, but a series of temples that embody devotion and architectural splendor. 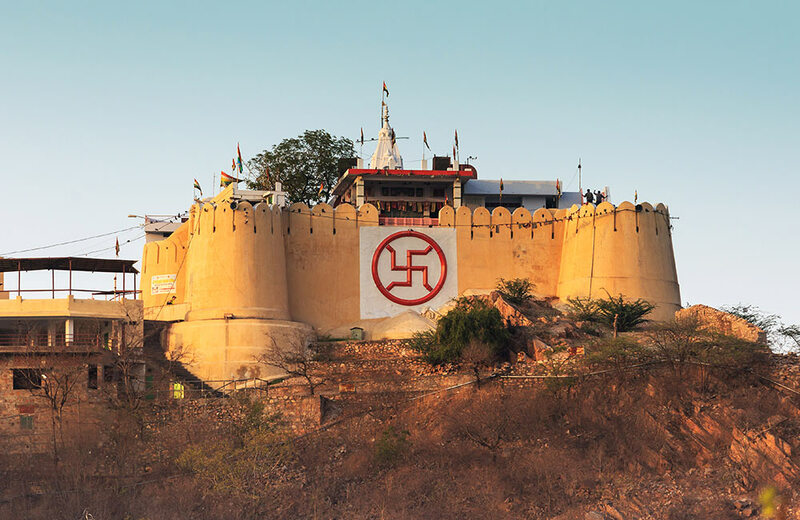 This abode of the gods has been built on a mountain pass in the Aravalli Hills. 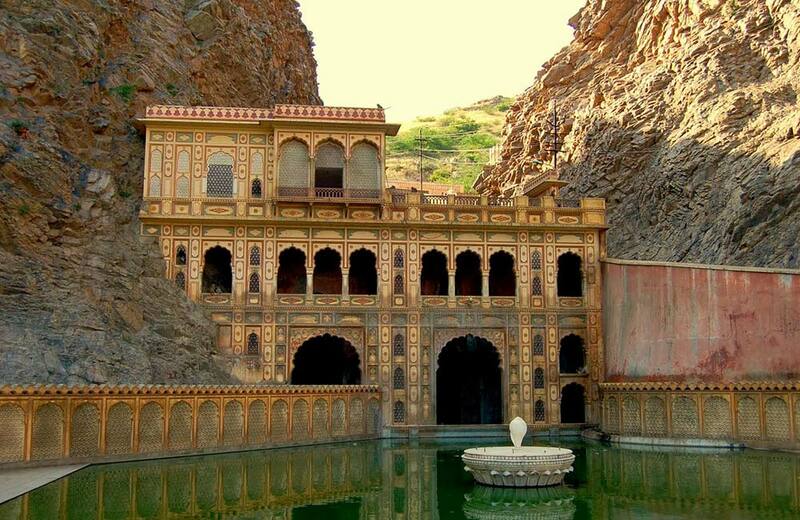 One of the main attractions of Galta Ji is the natural spring that surfaces on a hill and flows down to fill seven sacred water tanks within the premises. The holiest among these is the Galta Tank, which never dries up. Also, the temple of Sita Ram holds much interest among visitors since a large number of monkeys are seen here and unsurprisingly, the temple is often referred to as the Monkey Temple. One of the oldest and most famous temples in Jaipur, Garh Ganesh Temple was established by Maharaja Sawai Jai Singh I before he laid the foundation stone of Jaipur. 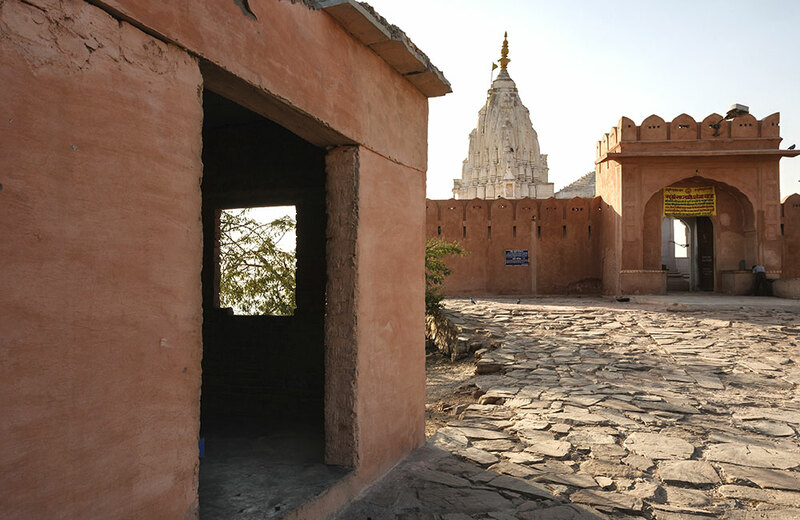 Since the temple is located atop the Aravalli Hills, it remains visible from almost every part of the city. As the name indicates, the temple is dedicated to the Hindu deity Lord Ganesha; however, the uniqueness of the temple is that here, Ganesha is worshipped in his child form. Yes, it is one of those rare temples in India where you can see Ganesha without his trunk. 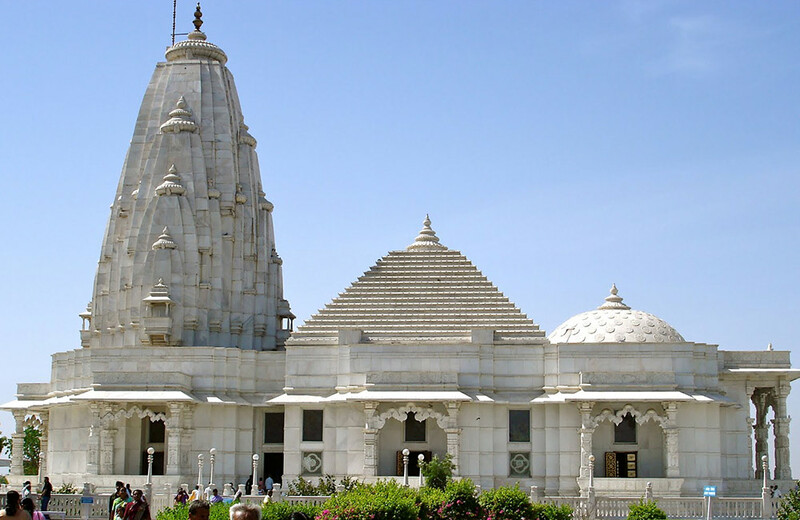 Like most Birla Temples dotting various cities and towns in India, Birla Mandir Jaipur is also a resplendent structure, and at the same time, this shrine is an image of serenity. Since the temple is dedicated to Lord Vishnu and his consort, Goddess Lakshmi, it is also known as Laxmi Narayan Temple. This grand place of worship stands at the foot of Moti Dungri Hill. Surrounded by lush green lawns, the white marble temple is a breath-taking sight in itself. Various quotes and scenes from the Bhagavad Gita adorn the walls of Birla Mandir, making it one of the most alluring temples in Jaipur. 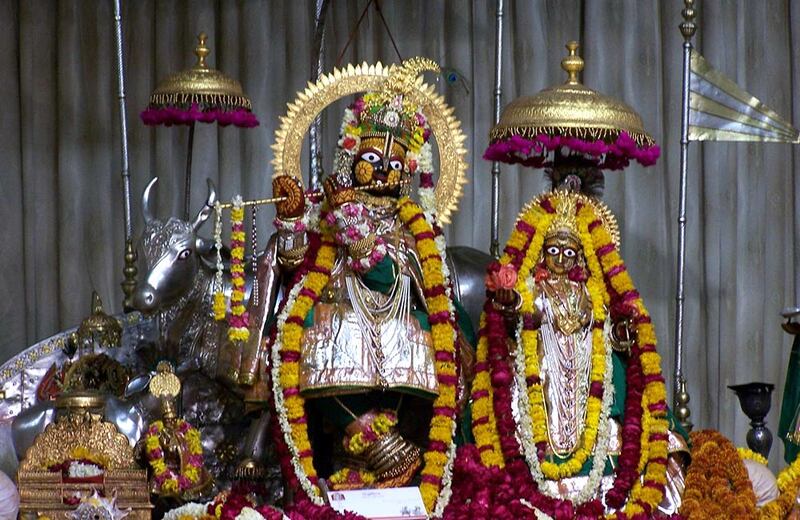 Among all the devi temples in Jaipur, Shila Devi Mandir holds a special place in the hearts of devotees. The temple is located inside the Amer Fort, one of the most famous forts in Jaipur. Goddess Durga is worshipped in the form of Kali at this shrine. There are two fascinating legends associated with this temple. As per one, when Maharaja Mansingh was defeated by King Kedar, he prayed to Goddess Kali for victory. The goddess appeared in his dream and blessed him. She also made him promise that he would build her temple in his capital, and that was how this temple was constructed in Jaipur. The idol of Kali worshipped in the temple was recovered from the sea in the form of a slab or shila; hHence, the temple was named Shila Devi Mandir. If you ask any local resident of the city to give you a list of temples in Jaipur that are worth visiting, you will definitely come across Neelkanth Mahadev Mandir. This famous Shiva temple in Jaipur is known for its beautiful structure and tranquil aura. Such is the popularity of this temple among devotees that a visit to it is often featured among the offbeat things to do in the city. Dedicated to Lord Shiva, the temple displays impressive carvings of the deity. 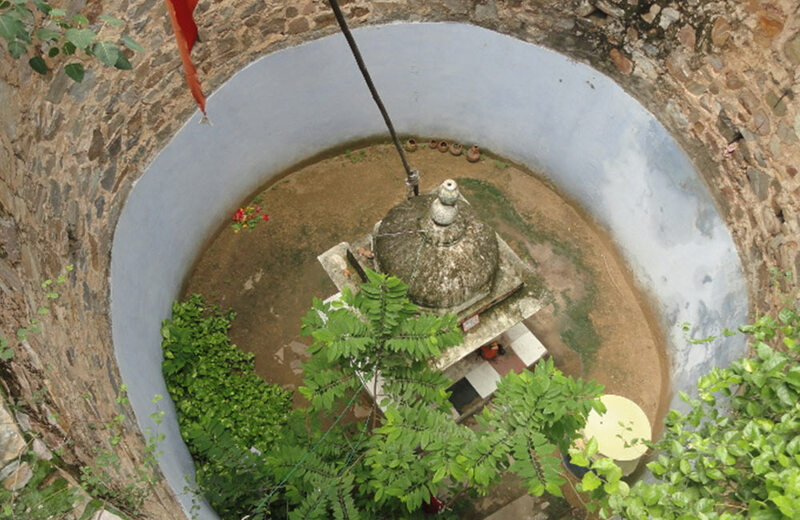 Apart from Lord Shiva, this shrine also houses other idols of deities, such as Parvati, Hanuman, and Nandi. 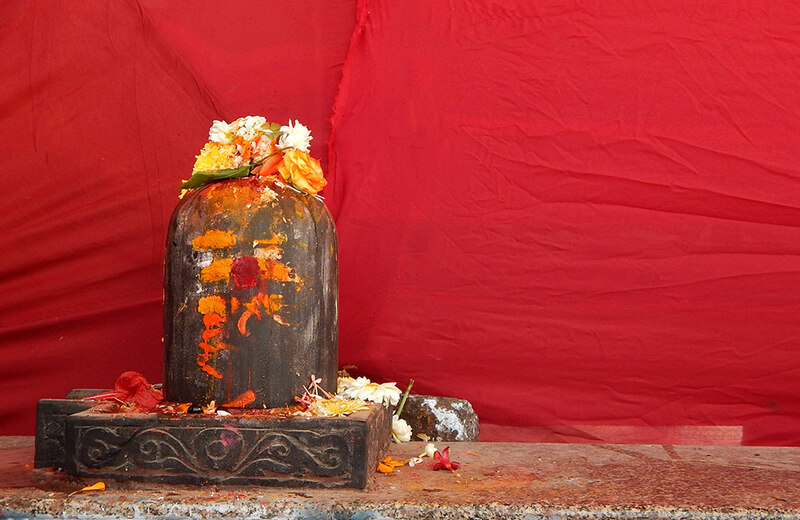 Lord Shiva, who is the presiding deity, is worshipped as a linga in this temple. Wondering what else to do when you are in the Pink City? Check out our blog on the things to do in Jaipur for some innovative ideas. The Sun Temple in Jaipur is one of its lesser-known shrines in the city. Nonetheless, this place of worship is no less a beauty, and its attractive architecture exudes a unique charm. True to its name, this temple that dates back to the 18th century honors the sun god or Surya Devta. It is the location of the shrine that draws visitors to it in large numbers. Located on a hill and inside the Galta Ji Temple complex, it offers you an awesome view of the city, making it one of the most scenic places to visit while you are in Jaipur. What’s more, as the sun starts to sink for the day, the whole city gets bathed in the fading orange light. It is an absolute delight to witness this scene from the Sun Temple. If you are looking for reasons to visit Jaipur in summers, this temple offers you one. Since the sky remains clear during the summer season, you can get a lovely view of the whole city from here. So, shutterbugs, don’t miss your chance to click some postcard-worthy pictures! 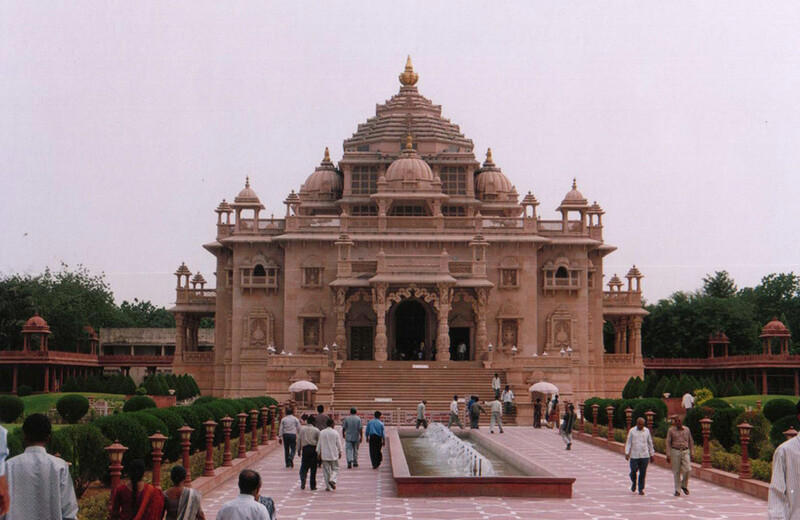 Akshardham is a famous name not just among the temples in Delhi, but among those in Jaipur as well. A brilliant example of fusion architecture, this shrine pays homage to Lord Narayana. Thanks to its architectural splendor, Akshardham is one of the most visited religious places in Jaipur. It doesn’t count among the ancient temples in the city, but when it comes to popularity, it certainly ranks high. 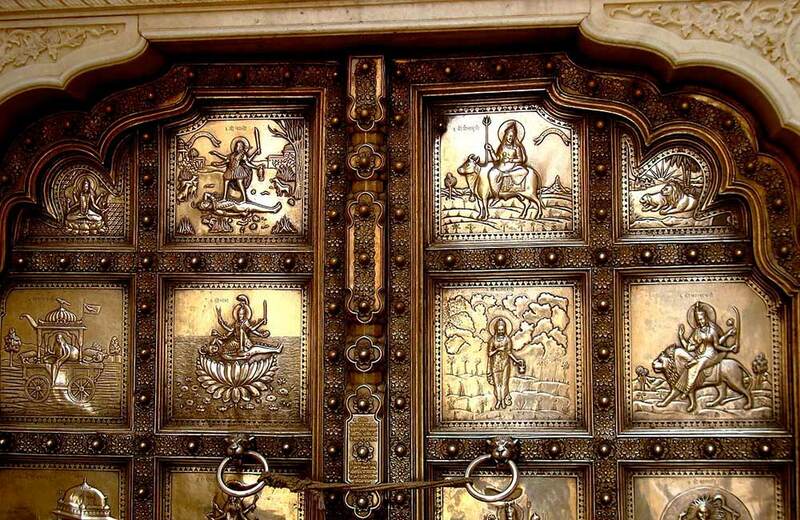 Pataleshwar Mandir is a one-of-its-kind Shiva temple in Jaipur that is supposed to be around 400 years old. This hidden gem was excavated in the latter part of the 1970s. If local accounts are to be believed, the temple was 20 feet below the surface of the earth when it was first discovered. It is not yet known who built the temple and why it was built so much below the ground level, adding to its mystery. You can easily reach the temple via a flight of stairs built for the convenience of devotees and visitors. 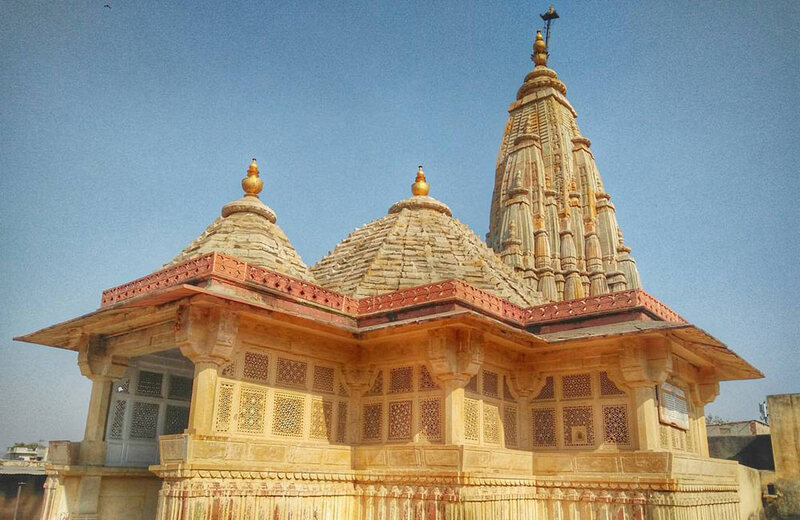 Of all the Jaipur temples, the Pataleshwar Mandir definitely creates a lasting memory in the minds of visitors. 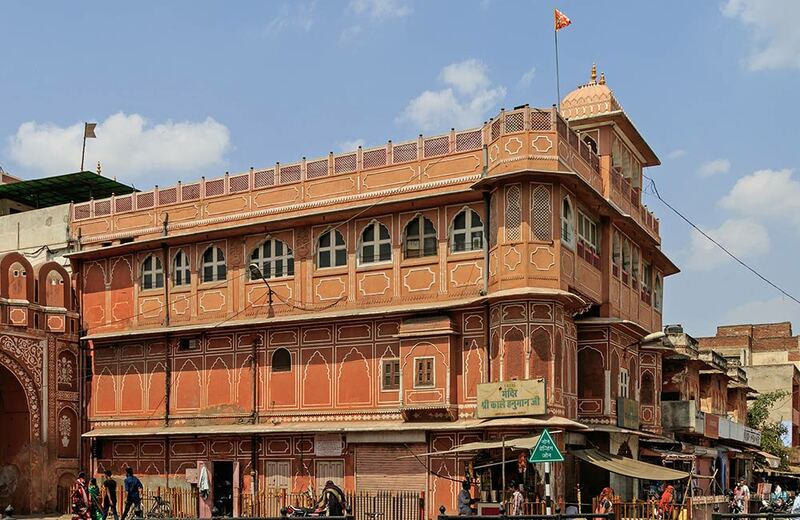 Located in the City Palace complex, Govind Dev ji Temple is one of the most famous Krishna temples in Jaipur. Govind is another name of Lord Krishna, and hence the name of the temple. The idol was brought to this temple from Vrindavan by Raja Sawai Jai Singh II, a firm devotee of Lord Krishna and the founder of Jaipur city. It is believed that the idol was carved by Bajranabh, the great-grandson of Lord Krishna, and it resembles the face of the deity during his incarnation on earth. No wonder, the temple holds much significance among the devotees of Krishna. You must have come across several idols of Lord Hanuman in red or orange color. But have you ever set your eyes on a black idol of Lord Hanuman? Kale Hanuman Ji Mandir in Jaipur is a rare place, where you can come across a Hanuman idol that is black in color. The temple is believed to be a 1000-year-old structure, which adds to its charm. Located in the vicinity of Hawa Mahal, it sees constant footfall all through the day. But on Saturdays, the place becomes extremely crowded as devotees jostle to get blessings from Lord Hanuman. Perched atop a small hill, the Moti Dungri Temple is not just a religious attraction but a tourist destination as well. The temple derives its name from the Moti Dungri Fort that surrounds the hill on which it sits. 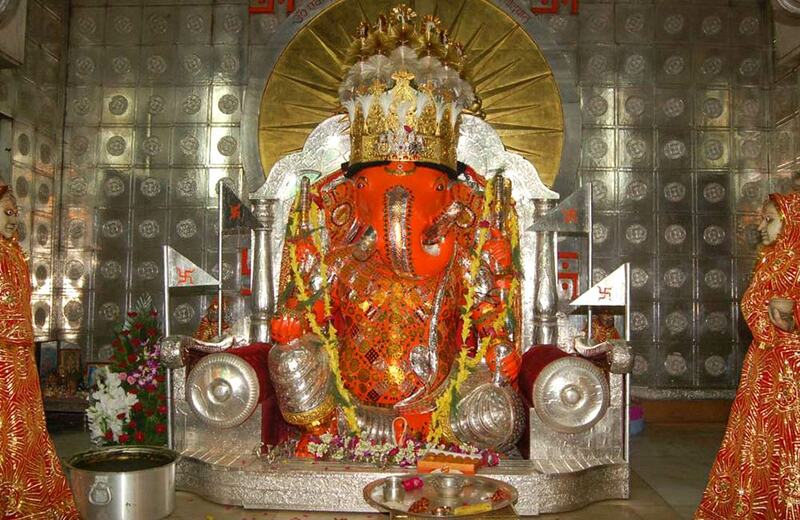 Moti Dungri Temple is dedicated to Lord Ganesha, the beloved Hindu deity. Though the shrine was built in 1761, the idol worshiped here is believed to be more than 500 years old. An interesting aspect of this temple is that the trunk of Ganesha is positioned in the right direction instead of the left, contrary to the usual custom followed in most temples. Apart from the lovely idol, the enchanting location of the temple also draws in visitors during all seasons. Like several other temples in Jaipur, even this temple was built by Raja Sawai Jai Singh II in the 18th century. The interesting fact about Kalki Temple in Jaipur is that it is dedicated to Kalki, the tenth and final incarnation of Lord Vishnu, who is yet to arrive. At the entrance of the temple is a white marble sculpture of Devdutt, the horse which is supposed to be Kalki’s mount. The sculpture of the horse has a crack at the rear of its left leg, and if the local folklore is to be believed, the day this crack heels will be the day when Lord Vishnu will descend on earth in his tenth avatar to end the on-going Kalyug. It is regarded as the only temple in the world that is solely devoted to Lord Kalki. The temples of Jaipur are a peek into the religious fabric of the city. At the same time, they are remarkable statements in splendid architecture. The good part is that if you are planning a trip to the shrines of the city, the best time to visit Jaipur is all year long. So, go ahead and make the most of your Jaipur days and nights!